While you were pregnant, did you have any weird cravings? Are you usually a vegetarian but you craved hamburgers? Did you crave pickles and ice cream? Before planning this Cravings Baby Shower, I asked the readers on Facebook what kinds of food they craved while pregnant. I was surprised at the variety of answers! Cream soda seems to be popular for a drink and there were a lot of salty foods on the list. 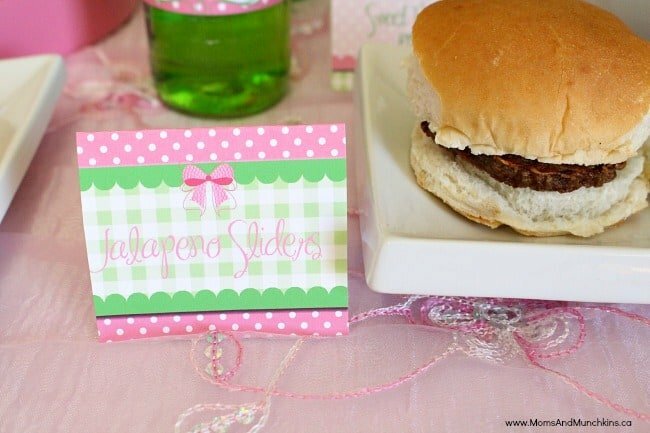 For this fun baby shower theme, you’ll want to ask the mommy-to-be what her biggest pregnancy cravings are and then try to work these foods into the buffet table. 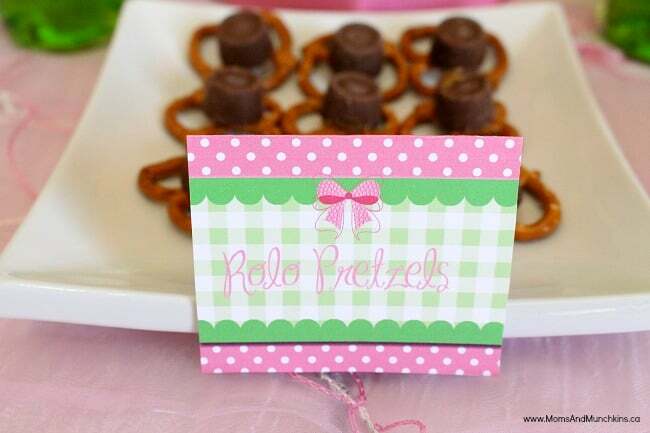 All of the adorable party printables featured here are by Just a Little Sparkle. That’s What This Shower is Made Of! One of the many reasons why I love this adorable invite from Just a Little Sparkle is that it includes my favorite color combination – pink & green! 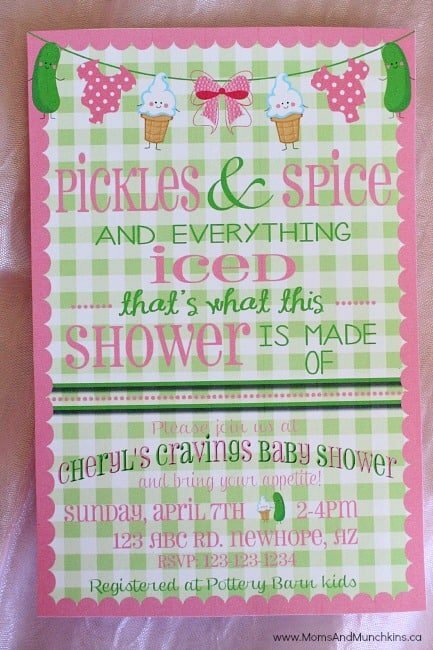 After sending out your invitations, save one to put on display at the baby shower. Your mommy-to-be will also want to save one for her baby scrapbook. Do you remember scratch ‘n sniff stickers? Check your local dollar store or craft store for ice cream or pickle scented stickers. This would make an adorable seal on the invitation’s envelope. 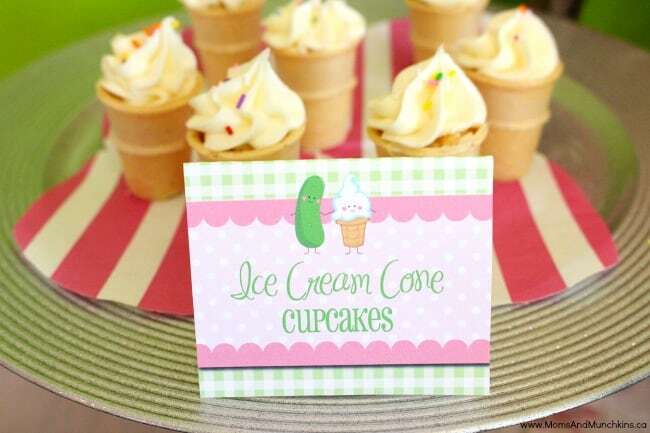 In sticking with the “pickles and ice cream” cravings theme, pink & green decor pieces could be used around your party area. 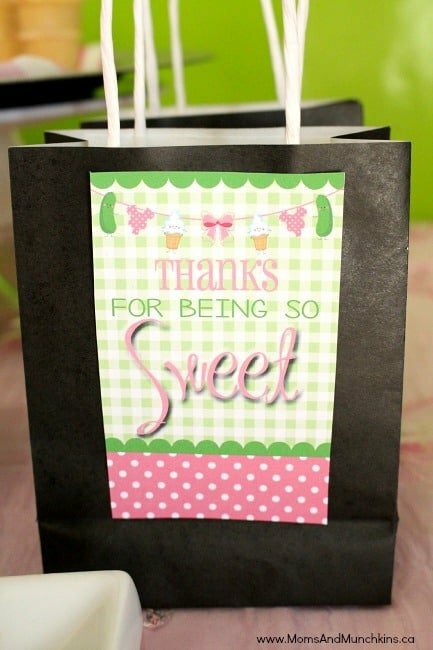 This could include tissue fans, tissue poufs, streamers, ribbon, paper plates, napkins, etc. 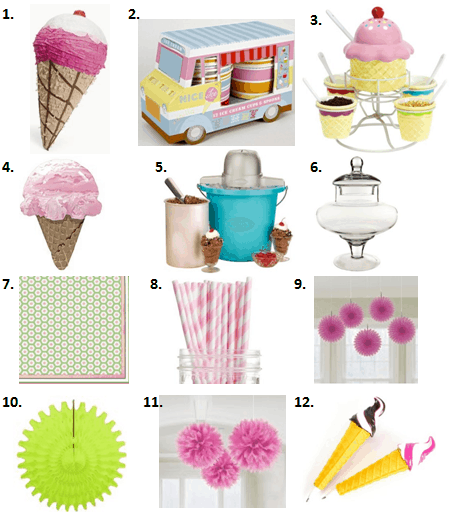 You could also add in a few fun pieces like an ice cream shaped balloon or pinata. 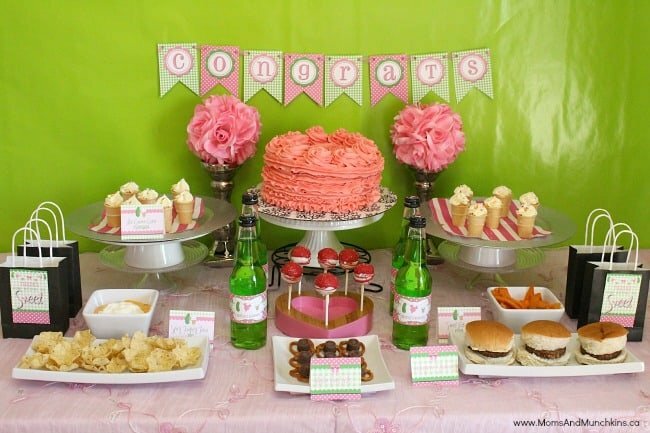 Cake stands and candy dishes are a great way to display your food…beautiful & delicious! This set comes with food signs as well like “Spicy” or “Sweet” and they could be set on the table in frames. 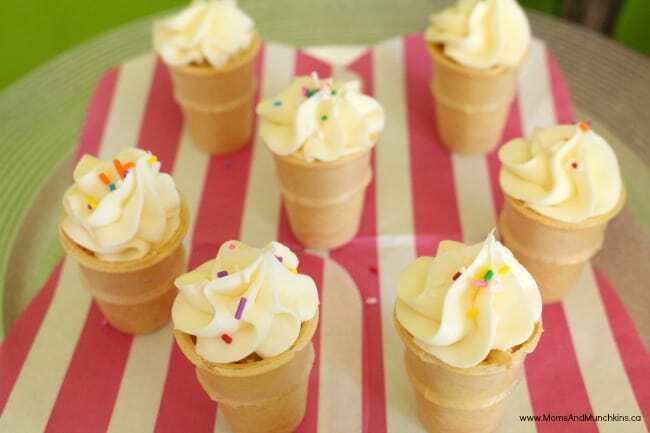 For serving ice cream, you could use decorative ice cream bowls, sundae cups or paper bowls wrapped in the same personalized labels used for your drink bottles. 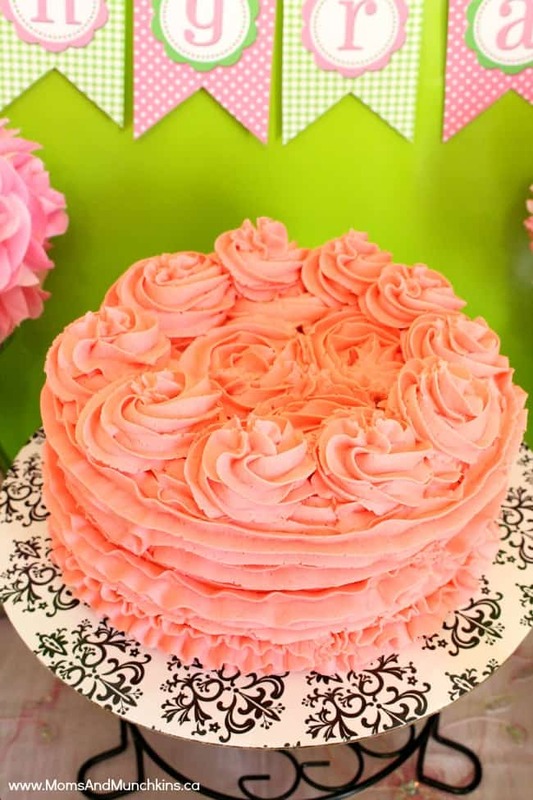 For food selection at a Cravings Baby Shower, it all depends on what your mommy-to-be is craving. You can set up different stations on the buffet table like an area for spicy, an area for salty and an area for sweet. 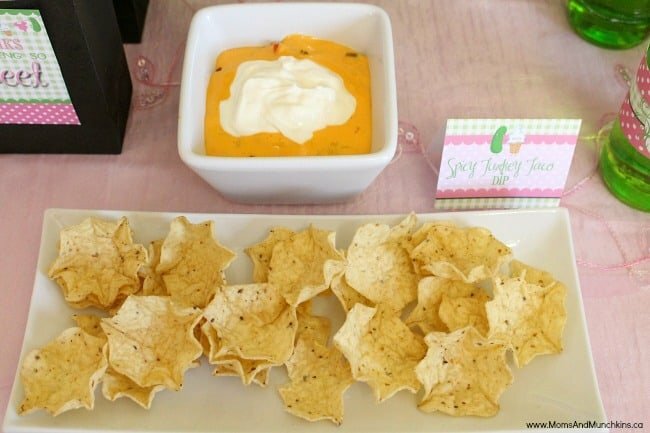 For this party, my “spicy” area included turkey taco dip and jalapeno sliders. The “salty” area included sweet potato fries, pickles in a candy vase, and pretzels with a Rolo chocolate melted on the top. 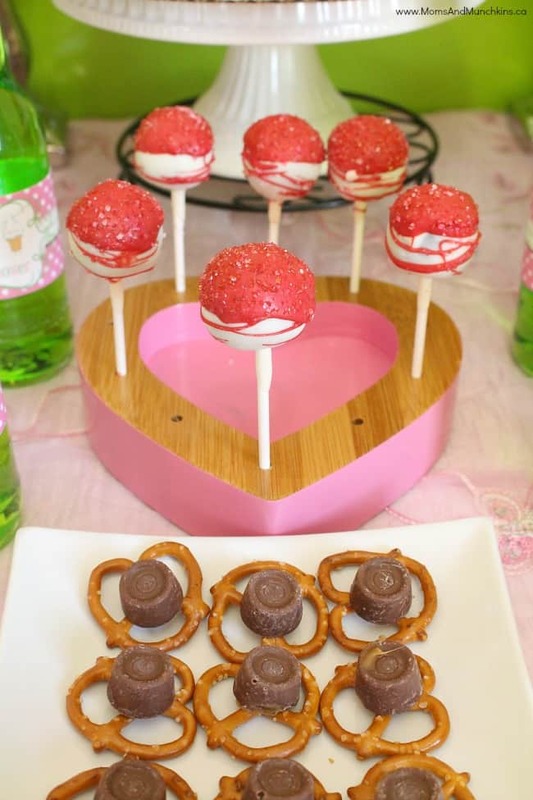 The “sweet” area included ice cream cone cupcakes, cake and cake pops. You could also add an ice cream sundae bar with toppings. Delicious topping ideas include crushed chocolate bars, toasted coconut, sliced almonds, sprinkles, fudge and fresh fruit. For the drink area, I chose a green pop with pink striped straws. Other ideas for pink drinks include pink lemonade and cream soda. 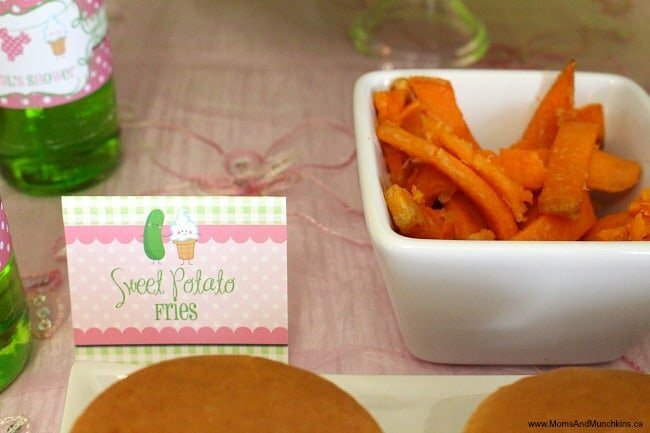 Not many pregnant mommies crave baby food but in sticking with the “food” theme of a Cravings Baby Shower, you could play a taste testing game with baby food. Simply number each jar of baby food and remove the labels. Guests must use their sense of smell and taste (no double-dipping!) to guess the flavor of each baby food. 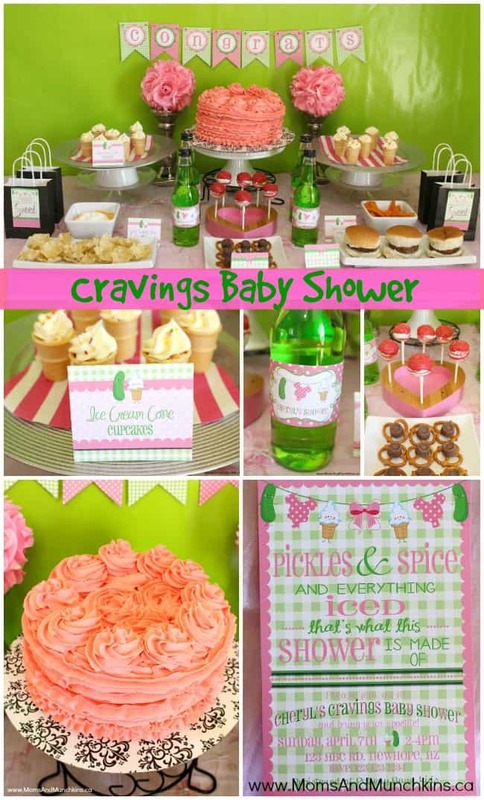 Stay updated on the latest in baby shower ideas by following us on Facebook, Twitter, Pinterest and Bloglovin’. 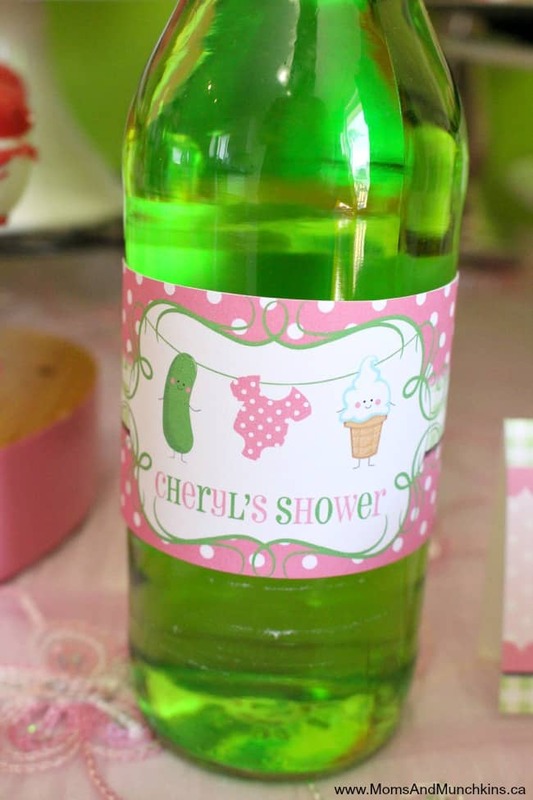 *Disclosure: Just a Little Sparkle provided these party printables free of charge. I am an affiliate with Amazon. All opinions expressed here are my own.